Each and every one of our Weymouth Cyprium Bradoon Bits is on sale now. Take a look at our horse bits and we are certain you will find exactly what you are looking for. 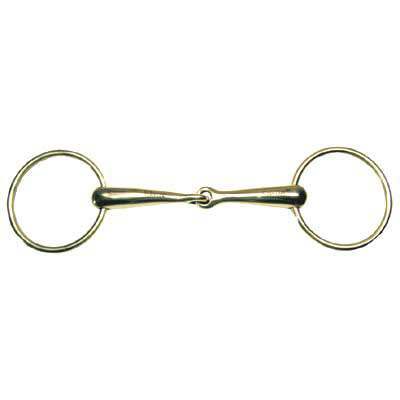 This loose ring snaffle contains cyprium which means that the mouthpiece will move around the rings. This may foster relaxation with the mouth snapping action of the rings and mouthpiece. The size of this item is 2.75'' rings and 15mm mouth. If you are in need of equine weymouth bits we have just what you need for your horses at unbeatable prices. This particular Bradoon Horse Bit is made Cyprium and will provide maximum durability even when used on a daily basis.